What is the Nearly Zero Energy Building (NZEB) Standard? 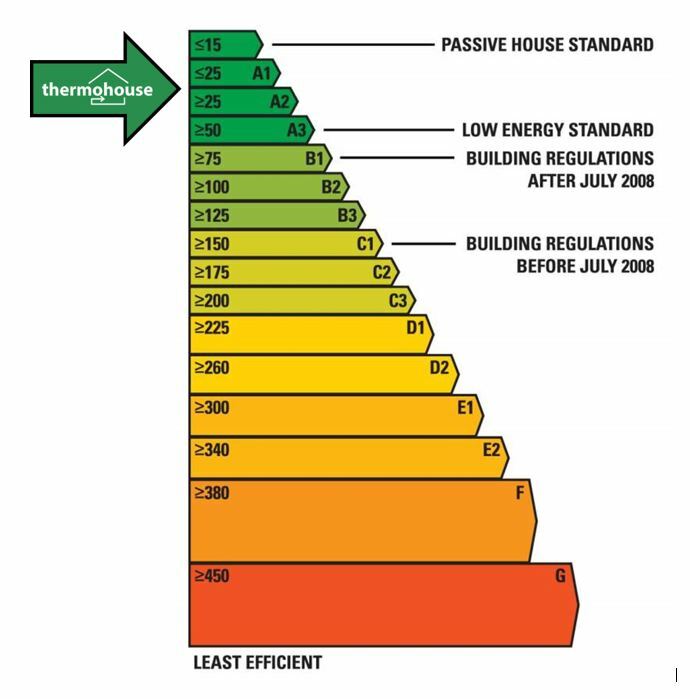 The European Energy Performance of Buildings Directive Recast (EPBD) requires all new buildings to be NZEB by the 31st December 2020 and all buildings acquired by public bodies, by the 31st December 2018. 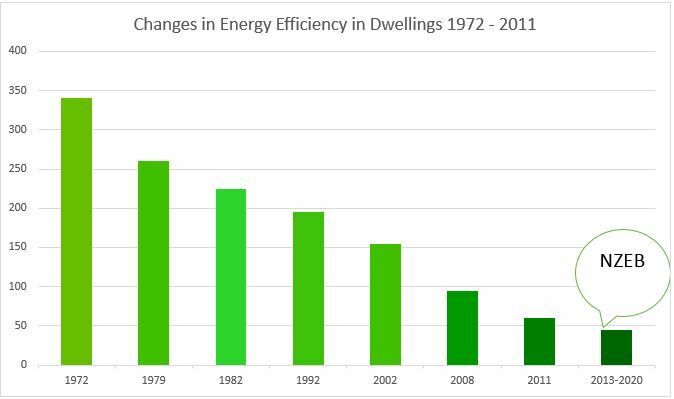 By 2020 all new dwellings in Ireland will have an Energy Performance Coefficient (EPC) and Carbon Performance Coefficient (CPC) of 0.302 and 0.305. This takes account of the energy load for space heating, water heating, fixed lighting and ventilation. For a typical dwelling this will equate to 45 kWh/m2/annum with a very significant proportion of which will be covered from renewable energy sources produced on-site or nearby. In terms of BER certificates, all new dwellings should be rated as A3 or higher. By 2020 it is proposed that all new buildings other than dwellings in Ireland will achieve a 50% to 60% aggregate improvement in terms of energy efficiency and reduction in CO2 emissions. The energy metrics to be considered will includes the energy load for space heating, water heating, cooling, fixed lighting and ventilation. Exceed NZEB requirements achieving <25 kWh/m2/annum, depending on your requirements.